Kayko LaLay: Beautiful, powerful, and an undeniable creep. 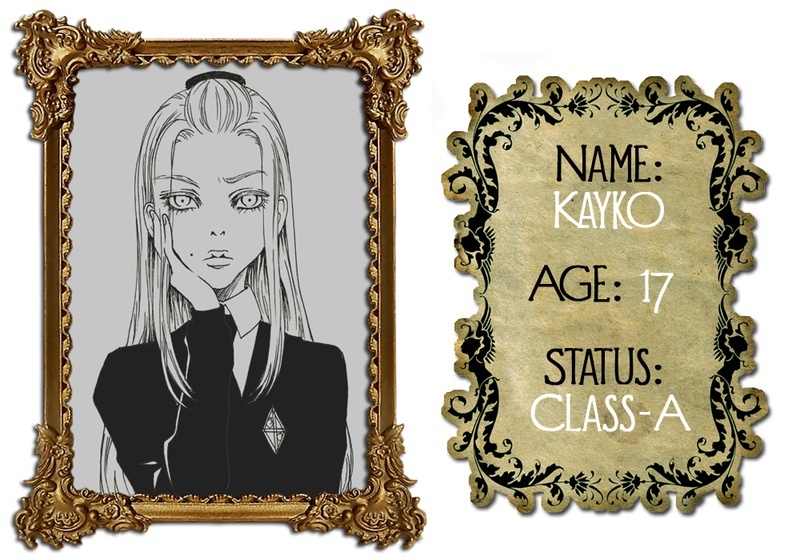 From her horrifyingly short temper to her impulse to attack all those that even look at her the wrong way, Kayko is one of Grandomes most frightening of girls. She has been friends with Cecero and Sheko since early childhood, and along with much of Grandome citizens, she is a devout worshiper of Lord Cecero Alumrion; son of the great Lady Alumrion. And though she so obviously is in love with Cecero, the only one of the two boys who shows her that same level of devotion is Sheko--and he drives her up the wall!! He's constantly following her around, and she (happily) returns his kisses with punches! She is also a member of the Cecero Lovers Clan!